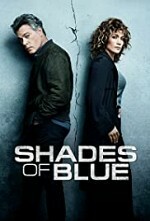 Watch Shades of Blue S3E9: Harlee uncovers a betrayal. Cole tries to avoid Ramsey's reach. Wozniak attempts to negotiate with the intelligence unit.